Love to make your own Valentines? 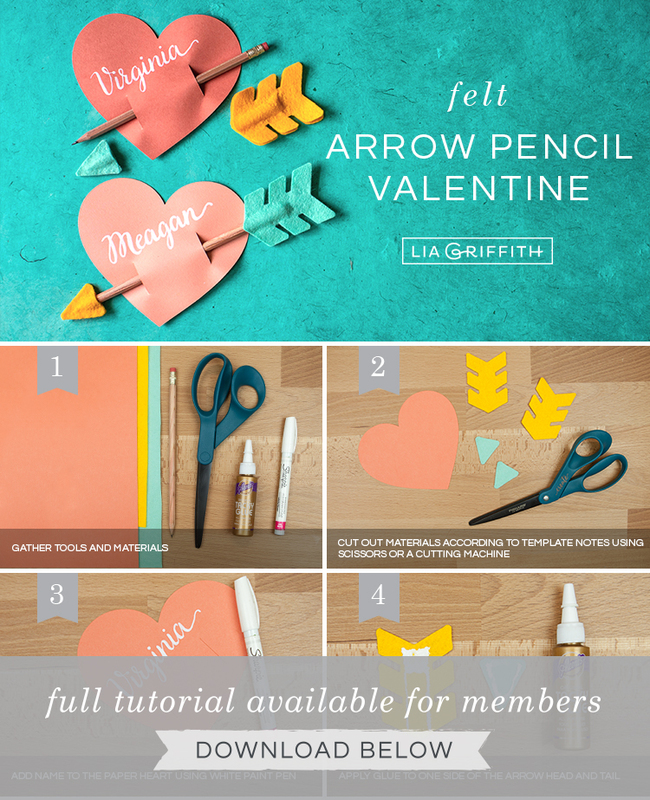 Check out our paper heart and pencil arrow Valentines. 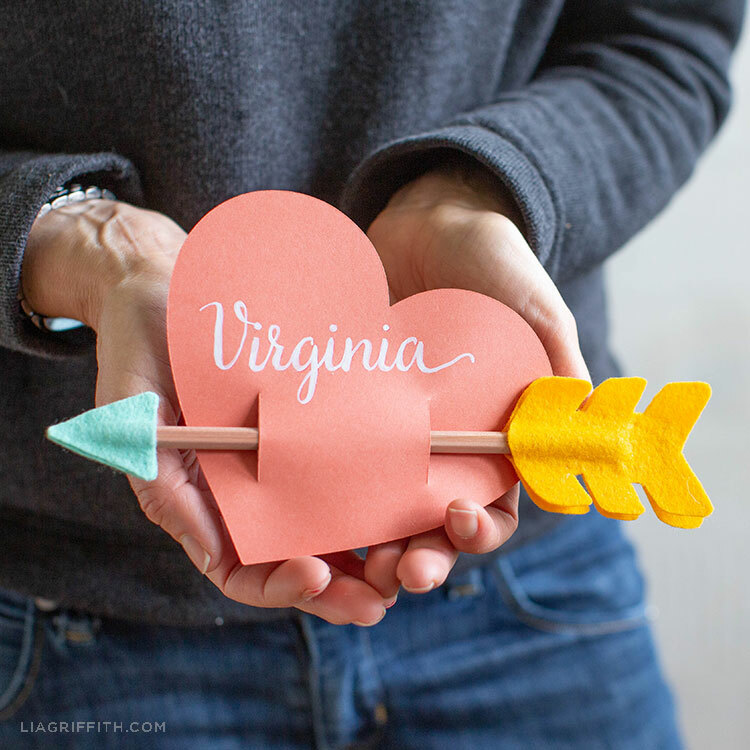 They are the perfect V-day craft—cute, creative, and simple to make. So if your kids want to join in on the fun, this would be a great DIY project for them. Or you can get your galentines together for a Valentines’ Day craft session! 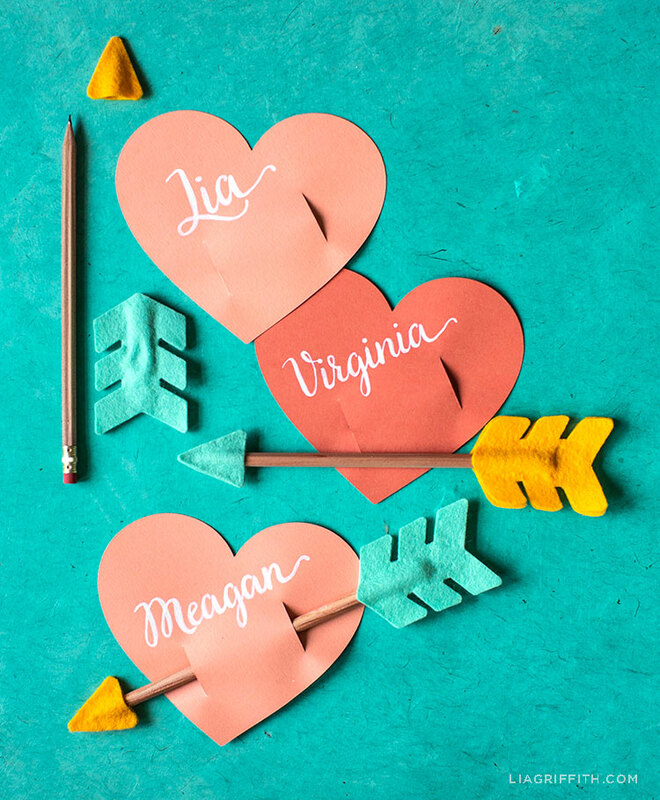 No matter who you’re making these pencil arrow Valentines for, we’re sure they’ll find them adorable! We recommend using a cutting machine for this project, but you could also cut the pattern by hand. You can find both the SVG file and the PDF template below. Cut out materials according to template notes using scissors or a cutting machine. 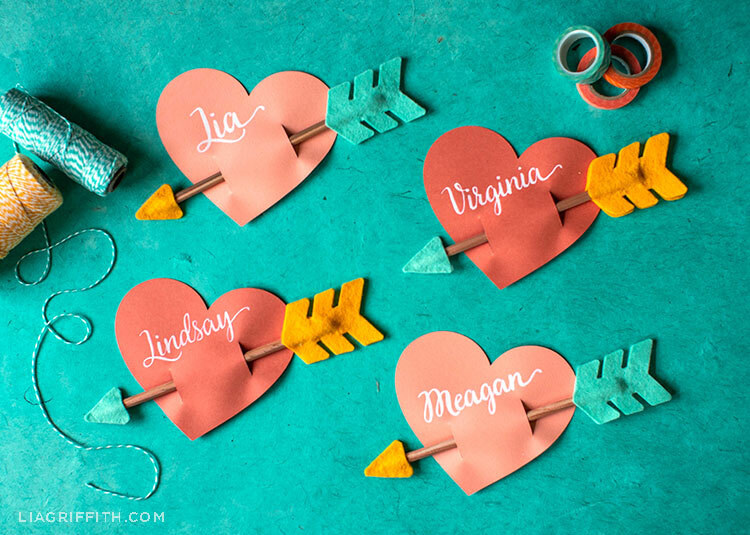 Add your Valentine’s name to the paper heart using a white paint pen. Apply tacky glue to one side of your felt arrow head and tail. Want more DIY ideas for Valentine’s Day? You can find all of our Valentine’s Day crafts here. 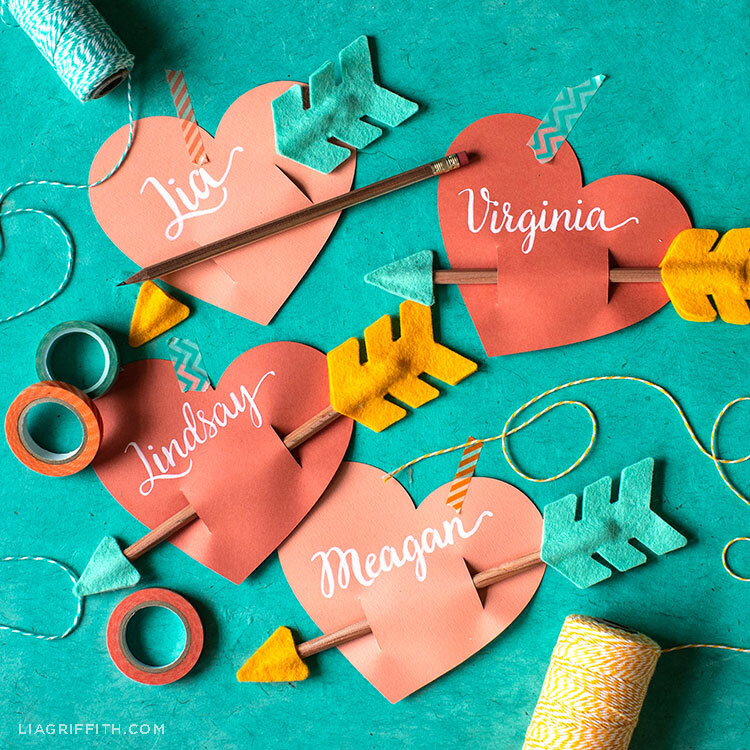 We’ve got more paper heart ideas along with cards, jewelry, plants, and other projects. For daily DIY ideas and inspiration, follow us on Facebook, Pinterest, or Instagram. And browse our YouTube channel for video tutorials on how to make flowers, home décor, jewelry, and more! So glad you like these, Denise!